Riders of Lime’s electric scooters may have to take a test to prove they are sober before starting their ride, one of the company’s co-founders told Euronews. The measure is one of a number that the company is considering to improve safety, Caen Contee, vice president of global expansion said. The company can also control riders' speeds remotely, slowing down the scooters during the hours of darkness, and has given out 250,000 helmets. But Contee said the most important measure to save lives would be the creation of separated cycle lanes. 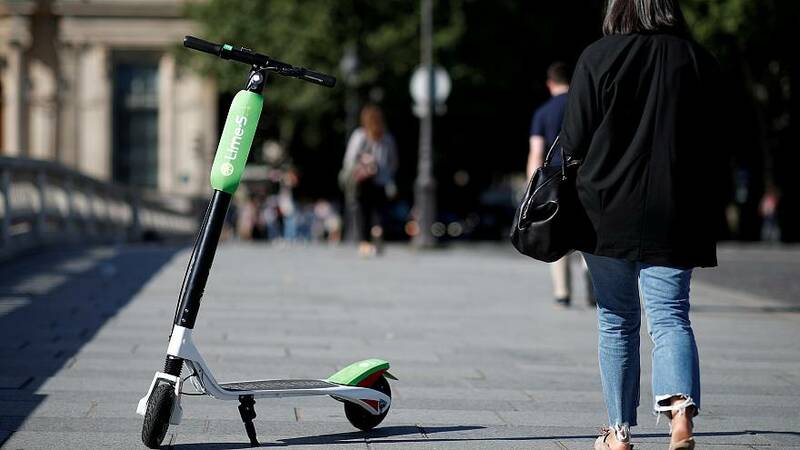 In about a year and a half of operation, the company, known for its distinctive black and green scooters, has spread to 15 European cities, some 140 markets worldwide, although it recently withdrew from two French cities, Bordeaux and Toulouse after being criticised by local authorities. Bloomberg estimated the company’s value at almost 3 billion euros. However, it has also faced criticism, being accused in a California court last month of not doing enough to stop collisions with pedestrians. The safety of riders is not the only issue Lime’s technology is trying to address. GPS systems alert the company if one of its vehicles is speeding away in the boot of the car, for example. And the use of unsellable custom parts reduces the risk of theft. Unlike some competitors, Lime also aims to take all its vehicles off the street at night.